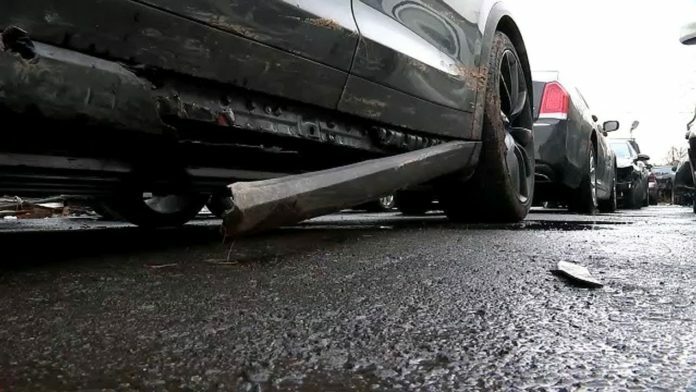 A man in New Jersey was involved in a scary crash Sunday after his autopilot Tesla Model X suddenly veered off the road, and crashed through signs and bushes. The owner says the car’s autopilot forced him to jump the curb and mow down several signs before coming to a muddy stop along Route 1 in North Brunswick. Bits and pieces of the Tesla were scattered along the northbound side of the highway. Thankfully, no injuries were reported and no summons were issued. The owner, from Hamilton, New Jersey, claims he was unable to regain control of his own car. “I think what happened here, the system was used in an environment that wasn’t ideal. The driver tried to correct. In seconds, there’s an accident,” says Automotive Journalist Nick Kurczewski. The autopilot system launched to much fanfare and skepticism four years ago. Since then, Tesla says they are not aware of any instance in which the brains of the car refused to relinquish control back to the driver.